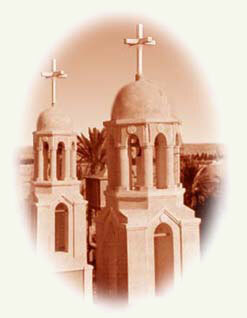 The Coptic Orthodox Church worships the Father, the Son and the Holy Spirit in the Oneness of Nature. We believe in One God; Father, Son and Holy Spirit � three equal Co-Essential and Co-Indwelling Hypostasis (Persons). The Blessed and Holy Trinity is our One God. We Believe that Lord Jesus Christ, the Only-Begotten of the Father and Who is One with Him in Essence is the only Savior of the world; we are Miaphysites; There is a difference between the �Monophysites� who believe in just One Single Nature (Divine) of Lord Jesus Christ and the �Miaphysites� who believe in One United Nature or One Composite Nature (Divine & Human) of Lord Jesus Christ. We do not believe in just a Single Nature but we do believe in the One Incarnate Nature of the Logos. Less changes have taken place in the Coptic Church than in any other church whether in the ritual or doctrine aspects and that the succession of the Coptic Patriarchs, Bishops, priests and Deacons has been continuous.